With a population of 6 million, Santiago is home to a plethora of top-notch restaurants, wine bars and hotels. Here’s your agenda for two (or more) perfect days in the Chilean capital. Bocanáriz (pictured): Along with small plates, this Lastarria wine bar offers themed flights of Chilean wines as well as 300+ bottles listed on a hulking wall-mounted chalkboard. Baco Vino y Bistro: A winemaker haunt, it specializes in Gallic classics like briny oysters and duck confit. 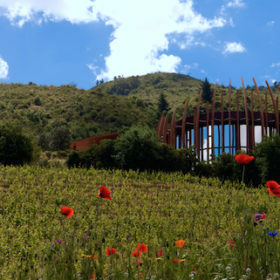 The wine list features superb Chilean and French wines. Mestizo: A swanky spot known for indoor-outdoor seating and views of Bicentennial Park. Fuente Alemana: Popular for sandwiches such as the lomito (roast pork) and churrasco (steak), piled with smashed avocado and mild green chilies. 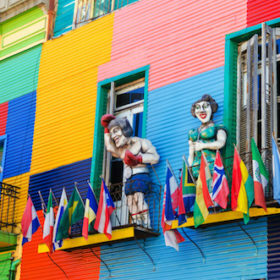 Bar Liguria: A popular spot with a party vibe, wacky wall hangings and traditional Chilean grub like crab soup (chupe de jaiba). Lastarria Hotel: A boutique property housed in a renovated 1920s mansion, it sits in the heart of the namesake historic district. The Aubrey: Set in a restored 1927 manse in the Bellavista area, this 15-room boutique hotel features nice grounds and common spaces, but also street noise on weekends. Casa Real Hotel: Dream among the vines at this traditional casona-style house at Viña Santa Rita winery, less than an hour from Santiago. The Singular Santiago: This new luxury hotel is slated to open in October 2014 in the trendy Lastarria neighborhood. Santa Lucía Hill Santiago established itself here in the 16th century. Panoramic views reward wayfarers who scale countless steps. La Chascona: The home of the late Pablo Neruda, Chile’s Nobel Prize-winning poet and statesman. Rooms hold knick-knacks and artwork, including a portrait of Neruda’s third wife painted by Diego Rivera. 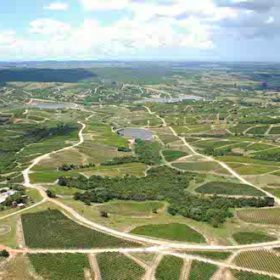 Viña Santa Carolina: Founded in 1878, it ranks as one of the country’s oldest wineries. Visitors can taste the signature Herencia Carmenère inside the original bodega and stroll impressive colonial-style gardens. Museo de la Moda: Fashionistas will adore the superbly curated exhibits related to international clothing design. Mercado Central: Designed by Gustave Eiffel, this market displays all types of produce and glistening seafood. La Vinoteca: One of Santiago’s best wine shops, it can pack a plane-ready case of favorite vinos. El Mundo del Vino rates as another good choice.